The commencement of the Goods and Services Tax embarked the nation towards a new economic regime, transforming the taxation system of India. GST with its elementary objective of One Tax One Nation, aspires to convert the multi-layered tax system and market of India to a single market under a uniform tax. 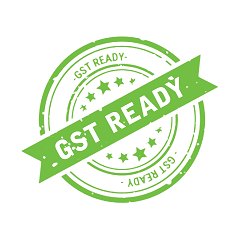 Being a market leader in the Indian Supply Chain & logistics industry, Safexpress has proactively been preparing itself to smoothly transition into the new GST era. To cull out all post GST confusion and to provide seamless services, Safexpress' GST Help Desk is working 24*7 to troubleshoot your GST related issues with world-class services and infrastructure. Safexpress has successfully established 35 state of the art logistics parks equipped with ultra-modern facilities to manage the cross-dock distribution operations with higher efficiency and quality. With the warehousing space of over 14 million square feet & planning its logistics park strategically at all major highways with direct, scheduled & regular connectivity all across India, Safexpress is all set to cater to all your logistics requirements so as to bring operations efficiency across your supply chains.